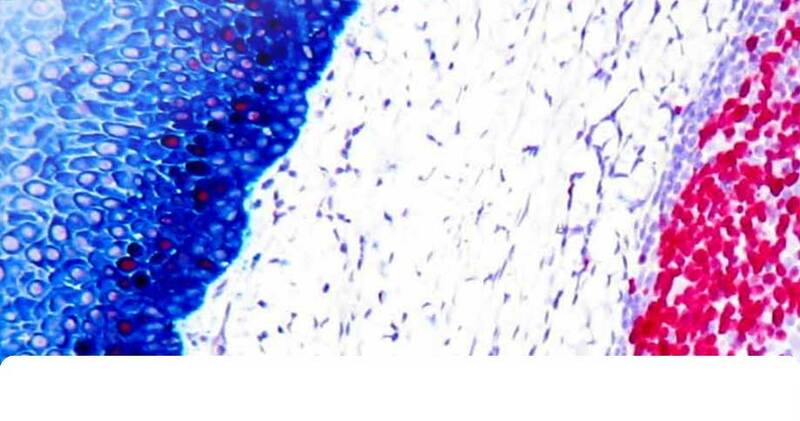 " The POLYVIEW® PLUS HRP-DAB (Anti-Rabbit) kit worked very well; there was no background and the protocol is faster than many other IHC kits available commercially. I would surely recommend it. 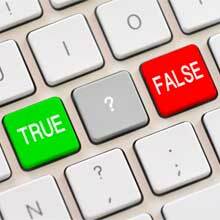 I was really happy with the POLYVIEW® PLUS HRP-DAB (Anti-Mouse) kit too. " 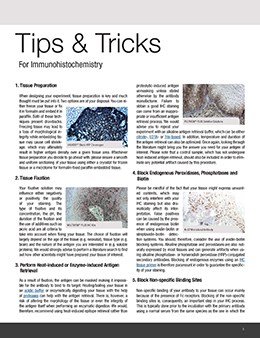 " We tested Enzo’s POLYVIEW® IHC detection reagents and HIGHDEF® chromogens on our immunohistochemical autostainers against similar available detection reagents and chromogens. We found that Enzo’s detection reagents and chromogens matched or exceeded what we currently used, allowing for increased sensitivity and specificity when used against both human and murine tissue. " This application note demonstrates the use of Enzo Life Sciences’ POLYVIEW® IHC detection reagents and HIGHDEF® IHC chromogen with Dako Autostainer Link 48 and Biocare Medical intelliPATH™ FLX as open system platforms to stain key biomarkers used in both fundamental and clinical cancer research. 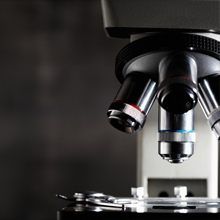 This application note demonstrates the use of the Enzo Life Sciences’ MULTIVIEW® IHC Kit to multiplex the detection of immune cells in cardiac allograft vasculopathy. 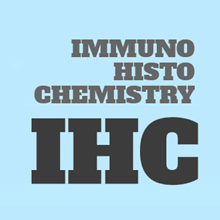 Do you want to know more about IHC? 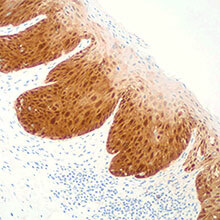 Enzo offers the broadest (and expanding) palette of IHC stain colors to choose from, giving you the ultimate flexibility in planning your multiplex Immunohistochemistry protocol. Formalin-fixed paraffin-embedded human tonsil stained with pre-diluted mouse CD68 antibody labeled with HIGHDEF® IHC chromogen substrate (DAB, HC) ( brown), pre-diluted rabbit lambda light-chain antibody labeled with HIGHDEF® blue IHC chromogen (AP) (blue), pre-diluted rabbit kappa light-chain antibody labeled with HIGHDEF® red IHC chromogen (AP, plus) ( red), high molecular weight cytokeratin labeled with HIGHDEF® yellow IHC chromogen (HRP) (yellow), and methyl green nuclear counterstain. 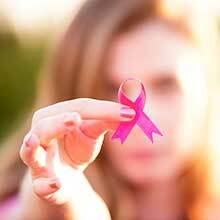 Highest sensitivity, lowest background POLYVIEW® PLUS nanopolymer detection reagent for use with HIGHDEF® chromogens. 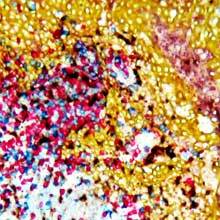 High sensitivity, low background SAVIEW® PLUS IHC detection kits. 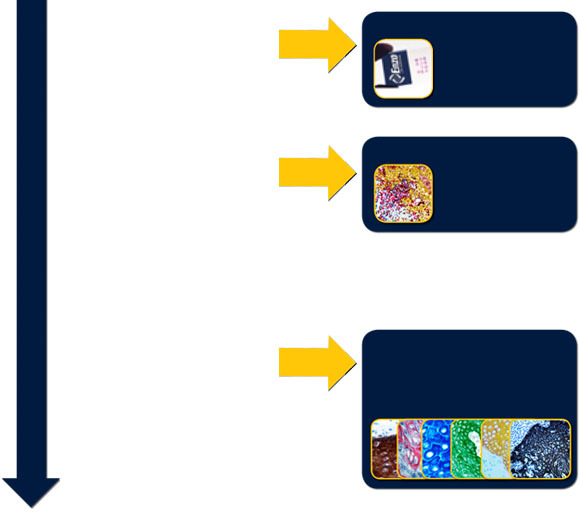 Our unique MULTIVIEW® Universal Tissue Microarrays enable rapid IHC screening of 11 different tissue specimens on a single slide. Our growing list of over 1000 IHC validated antibodies includes those for the detection of key signaling proteins, cell surface markers, mediators of cell death, oxidative stress, heat shock proteins, proteasomes, and more. 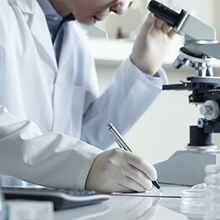 We know IHC optimization can be a time and resource consuming endeavor. 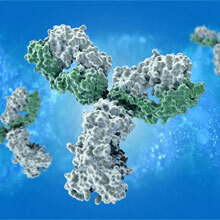 You can back any of our antibodies with our Worry-Free Antibody Trial Program, even those not validated for IHC. 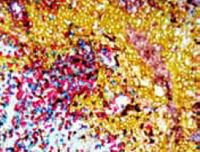 Download our brochure featuring IHC validated antibodies for neuroscience.